How did this happen? 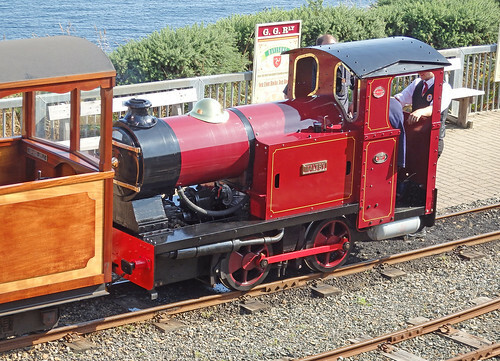 An Isle of Man loco kit I'd never heard of? Found in among some second-hand goodies for sale at the Groudle Glen Railway a few weeks ago, I snapped it up for a tenner just to know more about it. 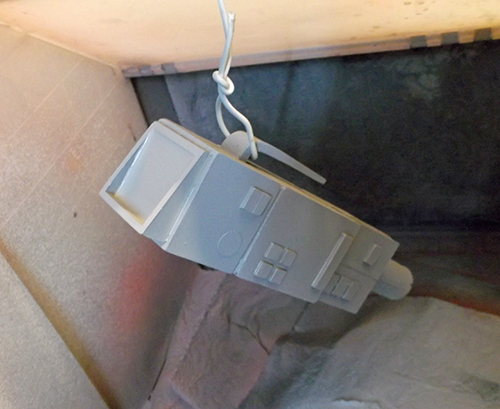 Back home, looking inside the bag, I find a plastic boiler unit along with side tanks and cab from the same material. There's a frame front and cylinders too plus sundry other parts, many cast in whitemetal. There's no chassis, but this could be ordered from 3SMR - although it's no longer on their website. I guess the Branchlines version could be used though. Compared to the GEM whitemetal kit, the body is a bit basic. I'd say it covers the early small boiler locos rather than the middle versions in use nowadays. For the moment, this will remain a curiosity on the collection, there are enough white metal models awaiting building for anything Manx I might require. 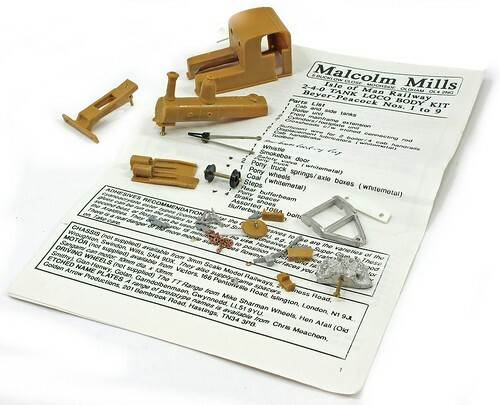 Of course, Malcolm Mills is still producing models - his website is here - but now it's very reasonably priced O and G1 engines. I dropped him a line to find out more about the kits - apparently, there was a Caledonia as well as a Peacock. Sadly, they made no money when produced 25 years ago so he moved on to the larger scale models which have been much more successful. Job done. With all the stickers and transfers in place, a good coating of satin varnish completes the commlock replica. The finish isn't perfect, but then the paint job on the real props appears to have been pretty tatty, so this is a compromise between the rose-tinted memories of a small boy watching TV and the reality of a hard-working piece of special effects kit. It's been an interesting project. Digging into the real props reminds me just how crude these things can be, at least in pre-HD TV days. I remember seeing some real Star Trek pistols and being amazed that they were little more than poorly shaped lumps of wood, nothing like the sleek devices I saw on the screen. The Century Castings kit is easy to assemble and nicely complete. A bit of a bargain too really. Will I be sporting the commlock as I strut around town? No. I'm not that much of a nerd. If you go to a sci-fi convention, that's great, but I don't feel the need to dress up. Besides, those nylon flairs wouldn't suit me. Once upon a time, railway bridges adorned with advertising were quite a common sight. Nowadays, Network Rail seem happier to cover them with bright yellow stripes in a desperate attempt to stop idiot truckers driving all lorries under them and causing a "bridge strike" requiring the closure of both road and rail while engineers work out if the bridge is going to collapse. This rare example is on the London Road, heading into Coventry. Photography is normally difficult as you are hurtling toward the ring road of doom, but a few days ago, I was on the top deck of a bus which pulled in to a stop, allowing me a decent shot. 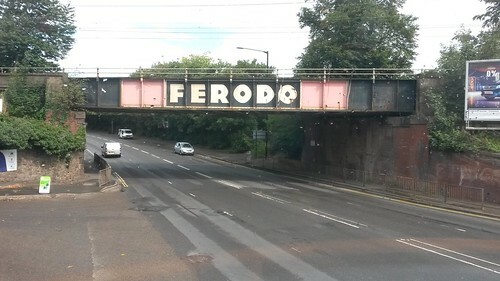 According to an article in the Coventry Evening Telegraph, this is one of only two Ferodo bridges left, from 12 originals. They stopped paying for the sign years ago, and now can't re-start as Network Rail no longer sells advertising space on them. 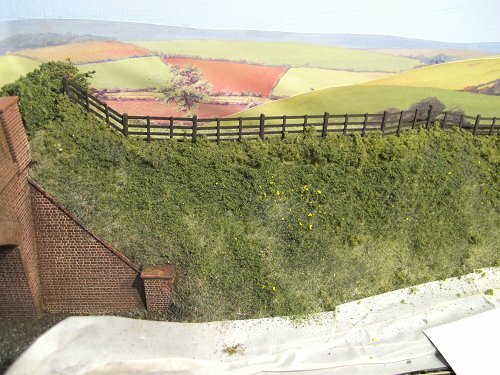 For modellers, this would be an eye-catching bit of scenery and pretty easy to do. The letters could be grabbed from a photo, cut out and drawn around on a white-painted bridge side. Then paint the black bits carefully. You can see the bridge on Google Streetview. In case anyone is wondering, Ferodo isn't a character from Lord of the Rings, but a brake shoe manufacturer. One important detail on any commlock is the picture on the side. This shows the owner and presumably indicated the access they have to various parts of the base. At least it would had the producers been hotter on the detail. Many photos exist of people using a commlock with someone else's photo on the side. Even if the photo was right, there wasn't a guarantee that it would be the right way up. I'm guessing that there weren't that many props available and so the photo panels were removable. 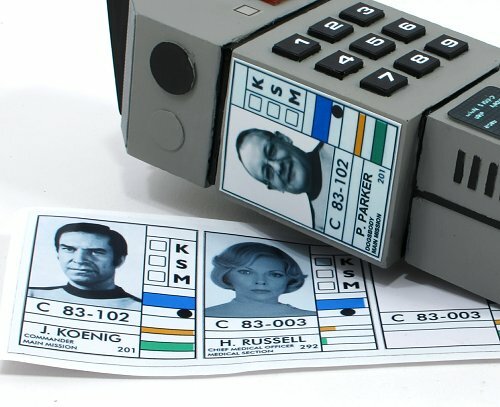 In the kit, a couple of panels are included - Commander Koenig and Dr Russell, plus a blank one for personalisation. Stick your own photo on the blank bit and write in your name. I went further and scanned the Koenig one in and then using some graphics software, added my mugshot to his shoulders along with some new text. I think it looks pretty convincing, and probably marks me out as a real nerd. Back in 2010, I explained how railway modelling gave us the World Wide Web. Now it seems, the hobby was also responsible for the concept of "Hacking". I shouldn't be surprised that the Massachusetts Institute of Technology(MIT) has a model railroad club, or that the club first formed in 1946. After all, you can't expect such a large group of nerdy, technical people not to include a goodly number of railway fans. It seems that the one thing they don't like doing is operating layouts - prefering to build complex devices to do this automatically. No suprise there, these guys work at the bleeding edge of technology, so why wouldn't the build control systems? Anyway, somewhere along the lines, the concet of "hacker culture" developed. Presumably this was down to the "Signals and Power Subcommittee" developing control systems and having to bodge or develop innovative new methods of making things work. Mind you, they can't make their website work, or has it been hacked? 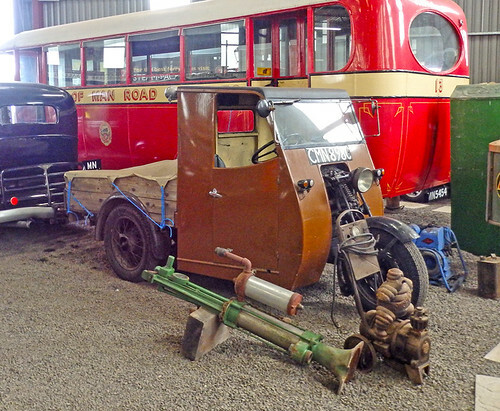 Jurby Transport Museum has been open for several years, but my first visit was a few weeks ago. It's not the easiest place to get to, especially on a Sunday which is the normal opening day. With a car available though, this time we could do the Groudle and head up to the airfield at the top left of the island. It was worth the trip. Housed in a hanger, it's stuffed with interesting exhibits in various stages of restoration. There are a lot of buses and road vehicles obviously and you might not consider these remarkable, but all are worth a look, even if it's not obvious why at first. Labelling is good for a start and the volunteers are very helpful. In one corner is a very well laid out display of Manx airlines and other small bits of memorabilia. It surrounds a OO gauge model under construction which will be a crowd pleaser one day. Tucked away in the back are one of the highlights for me, pleasure boats from Onchan Park. Both a 2 and 4 seater boat are on show. 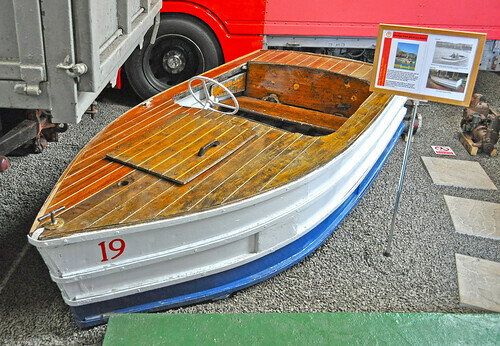 These tiny motor boats were available for hire. They are in reasonable condition although the petrol(?) engines aren't in them at the moment but stood beside them. A quick bit of measuring puts the 2-seater a 9ft long - a bit small for a 1/12th scale model, but I am looking at possibilities. I've detail pictures if anyone needs them. 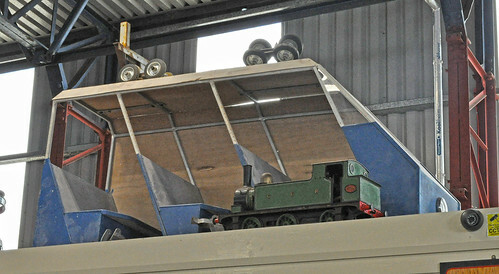 The most amazing thing on show, and only just as it's currently tucked away on top of the toilets, is a prototype monorail designed by Peel Engineering. I knew this had been designed after reading the excellent history of the company, but didn't realise anything was ever built. If I'm honest, it looks a bit crude - more like something I could build in a shed - but I'm probably missing something. Restoration is possible, but in a new display in dedicated to the company which I'm told is on the way. Free to enter, if you like transport, well worth a visit. More of my photos on Flickr. 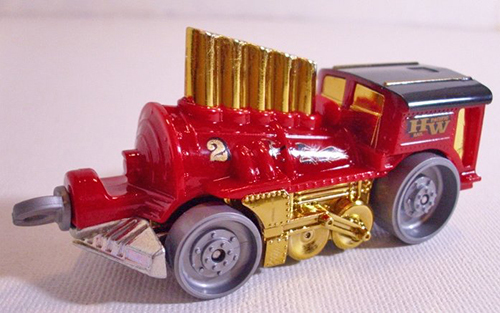 Saturday Film Club: Hot Wheels "Rapid Transit"
Regular readers know I'm a sucker for really hideous things that are sort of train shaped, so when I found out about the Hot Wheels "Rapid Transit" range of diecasts, I wanted to know more. There is a full listing on this Wiki. Seriously, what sort of meeting was it where these designs appeared on screen as a presentation and everyone around the table nodded and thought they were a good idea? I do my best to resist buying things sometimes. When I saw this G scale Disney locomotive for sale on a second-hand stall, I managed to drag myself away.I really did. But a couple of hours later, it was still there. For £20. 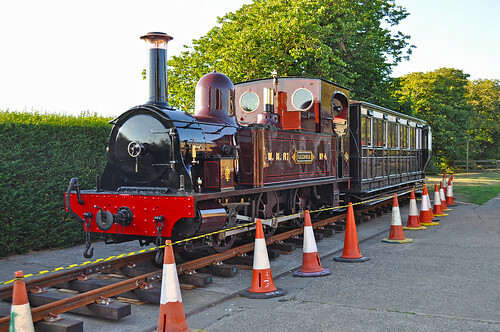 A proper Walt Disney loco. Now MY proper Walt Disney loco. There is a little method in my madness. The loco does come with waggly bits on the outside. Overall, it's not a bad looking thing if you ignore the gold. And red. There are a sensible number of wheels including the pony ones at the front. It runs on 45mm gauge track. Oh, and it makes noises. And smoke if I top up the reservoir in the chimney with baby oil. The light on the front works too. 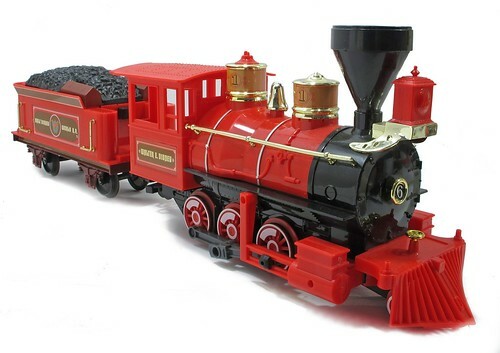 OK, it's a bit kitsch, but I might have a use for just such a loco later in the year, or perhaps next year. Long term, I think some basic detailing work, sorting out the tender chassis which I don't like, LGB couplings and a repaint will make for a fun beast. Radio control would be nice too, but nothing expensive. Oddly, a few days after I got this back home, an article arrived for Garden Rail which included photos of one of these on the authors layout. I'm not the only one! Painting the commlock is a bit of a challenge. There's no base to sit it on while spraying, or at least nothing that isn't supposed to be covered in paint. I suppose I could have worked one side at a time, but that takes time and I'm doing this between other jobs. A little experimenting showed I could wedge some garden wire (I spray in the garage, this stuff is handy) in between the fold-out plastic bits of my spray hood. Then bend a noose and hang the somewhat heavy model on its belt clip. Jiggling around avoids any unpainted "shadows" and if the inside of the clip doesn't get a proper coat, I can live with that. After drying, comes masking time. Chatting to a fellow modeller the other day, I mentioned that I need a photo that sums up the scene I'm intending to model before I can really get into building a layout. The picture doesn't have to show anything planned to be modelled, it just needs atmosphere. I think this might be just such a picture. It's taken at Bressingham around the back of the sheds. The buildings are unprepossessing, but serve a purpose. You can really see this as an estate railway doing a proper job. Perhaps even a real industrial line. There's certainly nothing pretty about it. If I turn the camera around a little bit, there is an open sided shed which is even less pretty, but even more interesting to the enthusiast. 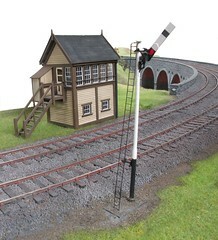 If you want to model engine shed clutter, here it is! I’m just making an English seaside summer model railway, and i have a problem with grass colour. My colours assortment is limited to Woodland Scenics turfs. I don’t have a static grass applicator. I tried to make a turf mix to match the grass colour to the photographs, but wasn’t successful in recreating the nice green. Knowing that you have experience in modeling, which WS colours would you recommend to mix to get that summer grass colours. This has taken quite a lot of thinking about, and I'm still not sure I have a definitive answer. In fact I'm not sure there is a definitive answer. My first suggestion is to forget the idea that you can mix a single grass colour. Grass, like so many other surfaces, varies a huge amount on anything other than the most manicured of lawns. Assuming you want "normal" grass then you need to adopt a slightly random approach to sprinking flock powder around. I tend to work with Woodland Scenics green blended turf. I use it everywhere, on the grass, over static grass, on hedges, as tree foliage. My layouts are set in an idyllic UK countryside full of sunshine, kids having their ears clipped by smiling bobbies and village nurses cycling between patients. It's always sunny because that's how we like to imagine it. But I don't use it on it's own. I'll lay down a base coat but then quickly sprinkle both lighter and darker shades around the place. There's not pattern to this, it's random. I might aim the darker stuff where there should be shadow and the lighter version on the top of hedges, trees and into the middle of fields. Extra hold hair spray is your friend when adding extra flock. Blast it around, throw the flock willy-nilly and you'll get a more natural result. Beware though, summer grass isn't green. 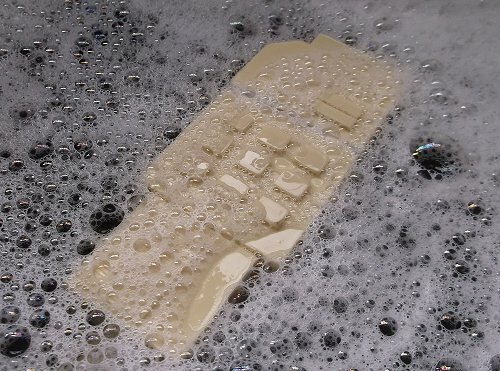 It often bleaches out. This video from the BBC shows the effect it has revealing buried buildings. For this you'll need some yellow grass or earth (better still a mix of the two) and work this over the areas that will get most sunshine. Sorry if this isn't the perfect answer, it's an area where art plays a big part. I'd also suggest that while an electric static grass tool isn't essential, a £4.95 puffer bottle is very useful. Get mid green and beige fibres and mix poorly so the tufts blasted out are random shades. For summer, 50% or more beige is the way to go. Finish with more hair spray and a sprinkle of you flocks for undergrowth. Colours on a model are subjective. You need to consider the lighting too, incandescent bulbs make things look warm, as do warm LEDs and florescent tubes. Cold tubes and lights make things look blue.Work under the lights the layout is to be displayed under if possible. I'll admit to aiming for a consistent colour palette as ultimately, this will look much better than widely differing greens. Final thought - don't forget to sprinkle a few white and yellow flecks in there for daisies and dandelions. A simple job, but one that really catches the eyes of people looking at the model. 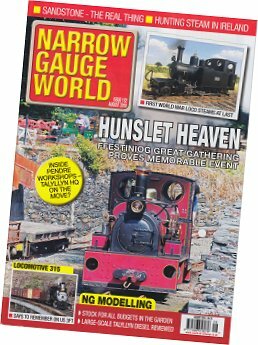 September's Garden Rail doesn't open with a layout, we kick off with building a steam engine out of Roundhouse components. Steve Howard is taking us through some of the rolling stock for his excellent Hambledon Valley Railway. Many will have seen this 16mm line operating at "normal" shows and it's truly impressive. All the locos run at scale speeds and look like proper, dirty engines. 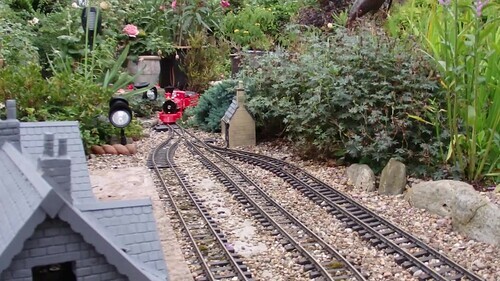 We do have a layout, the Seahaven Railway, a simple line but the sort of thing many can find space for in their gardens. It shares it's plot with a 7 1/4 railway and some entertaining RC rock crawling track too. Then it's back to construction with a G1 BIL, 16mm Corris brake, 3D printer Terrier and a camera wagon among other delights for readers. 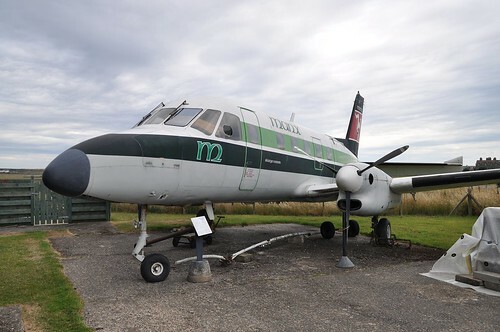 Down beside Ronaldsway airport, is the Manx Aviation and Military Museum. Housed in a couple of large and interconnected Nissen huts, at first glance the place doesn't look that big, but once inside, Tardis-like, there's loads to see. Now, I'll admit that military stuff leaves me cold. Worse, there is a lot of WW1 detail and that I really don't like. The number of memorial plaques in cabinets attests to the pointless slaughter of this conflict and all the time I'm thinking that if I'd been born a hundred years ago, that would have been me. Don't get me wrong, I have nothing but admiration for those involved at the sharp end and the exhibits are well staged. It's just that I feel uncomfortable. Elsewhere, there is a nice civil airlines display which appealed far more as my first flight was with Manx Airlines in the days when you got fed in the 45-minute flight. They cover other airlines that have served the island too. Some of the display is given over to RAF training, the north of the island carried out a lot of this as the area was considered safe from German aircraft. Not safe for the crews themselves though as the first thing you see is a map showing crash sights. I know how low the cloud can get and sadly a lot of pilots didn't find out about the mountains until the bumped into them. In one section there is a restored Bofors gun on its carrier and the information on its history and restoration is interesting and impressive. Overall, if military stuff is your bag, then this is an excellent museum and well worth a visit. It's free to go in and even has a shop selling a really wide range of aircraft plastic kits. Details from the Visit Isle of Man website. Since I'm building a prop from Space 1999, it seemed appropriate to have a quick look to see if there was anything on YouTube covering the special effects. This first film is interesting showing how basic a the "in camera" shooting techniques were, and how effective the results. Mind you, how long is it since you could "buy a kit for a pound"! Interesting that there were many railway models in there. The girder bridge? Sounds Airfix to me. There's also this film, which I've shown before, but it's worth a second look. While my model of The Hellingly Hospital Railway might be retired from the exhibition circuit due to my lack of time to be a "proper" exhibitor, I'm still interested in the history of the line. There keep being little surprises along the way and it is a fascinating subject. The latest "news" is that the hospital had a football team. 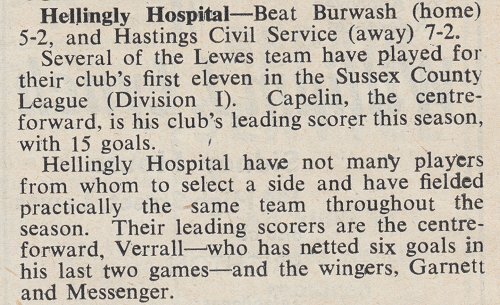 I find this from the November 1955 issue of Lewes FC News - bought via eBay for a couple of quid. Unsurprisingly, the hospital didn't have many people to chose from when picking a team. I'm assuming the list was limited to staff, inmates being ineligible to play. Despite this, playing in Red and White, they beat both Burwash and Hastings Civil Service. Well done lads! It's the skills issue of BRM this month, so a couple of slightly different articles from the norm. Soldering is one of those things that scares people and especially structural solder - that is making things rather than just joining up bits of wire. 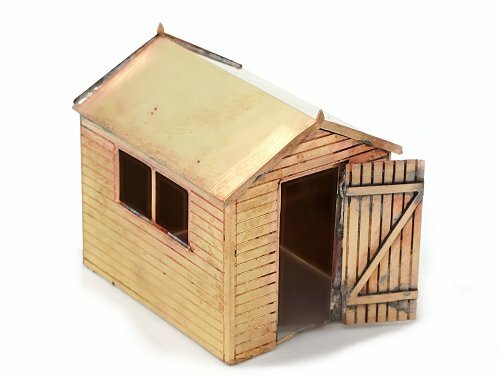 I've tried to de-mystify the process of building an etched kit by using a simple shed from Roxey Mouldings as a test piece. At a fiver, it's disposable enough, but if you look at many sheds, the end result doesn't have to be well made to look right. Then I look at the job of making holes. 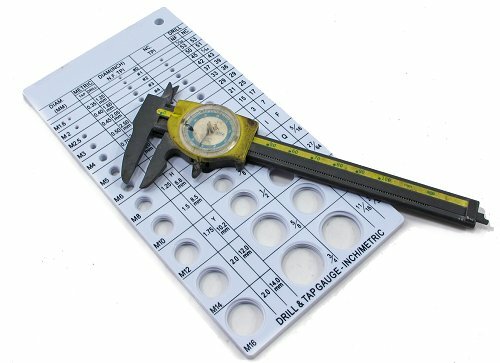 Not just holes in models, and not just with drills, although of course we cover both in the piece. Awngate by Michael Campbell is featured and makes use of a set of photos I took a few months ago at the lancing show. Not a big layout, bagginenough interesting shots was a challenge, but I'm pleased with the results on the page. It's nice to spread my wings a little doing this sort of thing. Nothing on the DVD from me this month, but digital readers get an "extra" where I look at bending bars to supplement the etched article. If you are going to be left looking after a level crossing on the Isle of Man, you will want the company to provide you with some shelter from the rain. This they did with this lovely little stone hut. Now superfluous thanks to the automatic gates, it has been restored by the Steam Railway Supporters Association. Sadly, the limited parking on a main road precluded me from taking a few measurements, that and I'd have had to stroll around on the railway to get at it. With the pie'n'mash train due not long after the picture was taken, I could have made the news as a casualty, not something I wish to do. 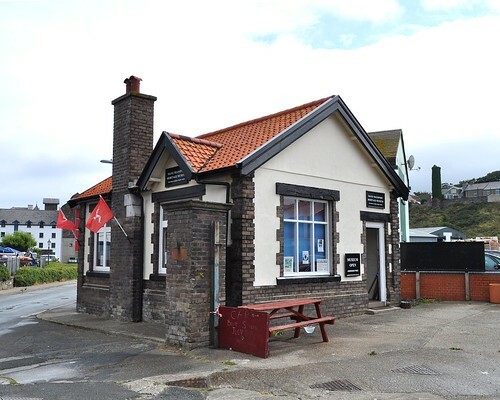 A tidy and and tiny building that would look great modelled in a larger scale in anyones garden, or perhaps the centrepiece of a Manx diorama style layout. What a can of worms this has turned out to be! If you think that researching a steam loco is tough, just try pinning down the details of a prop made for a 1970s TV show. Obviously, the very 21st century Internet is your friend. Sci-fi geeks can be relied on to stuff masses of information on-line. They love details and laboriously check everything about their favourite show. Starting with the excellent Space 1999 catacombs, we find that not all the props shared the same colour scheme. Photos on the side were either upright or sideways. The surround to the screen was either black or grey. Buttons could move around - especially on the "wonky buttons" proper where they appear to have slid down. Not all the buttons were numbered. The belt clip changed, and could move away from the back to the side. The whole thing was, like most TV props, horribly crude. In fact I'd suggest the Century Castings version is actually better then the real props. I'm going to make a best guess that looks nice to me. I might be nerdy, but not enough to closely examine a single episode and pic a specific example. It is fascinating though and a bit of an insight into the TV magic that produces these shows. I suppose the props didn't get a lot of love at the time, they were just "things" to be held and used to make the show. Certainly not the objects of veneration fans now consider them. Most ended up in a skip at the end of the series. And the colour? A Ford grey is suggested, but I think Humbrol 64 will do the job. How battered I make it look is down to me. Photos of a non-working prop. Photos of a prop with a working TV screen. A suprisingly good Lego version. I've built a lot of models, but never had a go at a full-size film or TV prop before. One of my favourite TV shows is Gerry Anderson's Space 1999 - at least series one of this before the curse of Fred Freiberger hit. It had the best looking and most practical spaceship in the Eagle Transporter and the special effects were great. OK, the stories could be a bit rubbish, but whisper it quietly, quite a lot of the Anderson plots weren't much cop and were saved by the fantastic stuff on the screen. 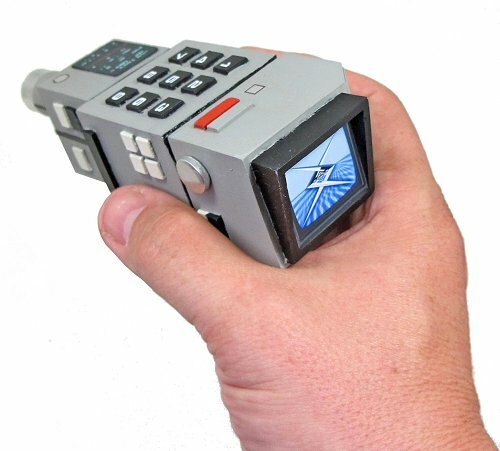 Anway, every member of the Moonbase Alpha crew carried a commlock around with them. 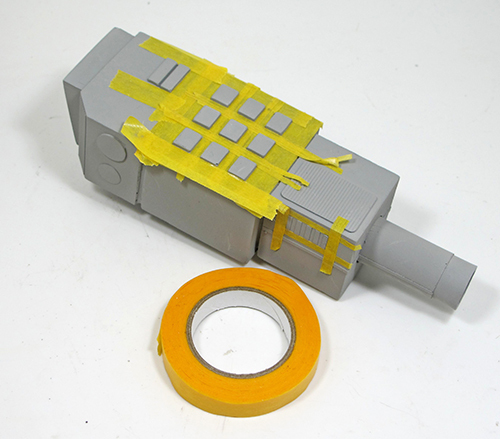 It's a multi-purpose device that is part mobile phone and part door key. Like Dr Who's sonic screwdriver, it can do other things depending on plot requirements, but fortunately, unlike the Dr's tool, never morphed into a magic want to save them the bother of coming up with a convincing plot. Century Castings produce a vast range of full-size prop copies and the commlock is one of the cheaper ones. It looked simple and a lot of fun. The main parts are resin castings which need to be joined together. As heavy lumps, I felt some strengthening would be a good idea, so drilled a hole in the middle of the main parts, dropped a bit of brass tube in and then glued everything up with epoxy. The belt clip needs to be strong and while it fits in a shallow depression, the join has all the appearance of one that won't survive long, so there is more epoxy and some bits of wire. With assembly complete and any dodgy joins filled, the final stage is a dip in some washing up liquid to remove any grease or mould release before painting. 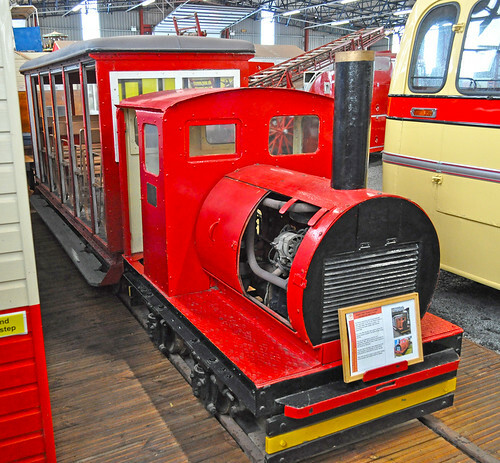 Tucked away among the smelly kipper factories on Peel quayside, is the Manx Transport Heritage Museum. Houses in a small brickworks office, it's a treasure trove of delights. 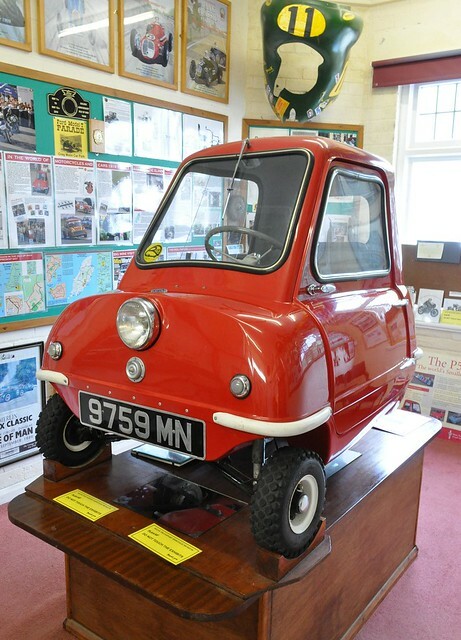 The most famous exhibit is a P50 microcar. Built just over the bridge, it's what most visitors will have come to see. Like the Manx cat, it's something the island is famous for, but visitors will rarely see in the wild. 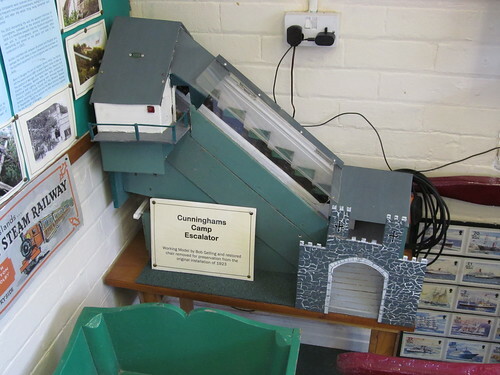 Nice as this is, even more, exciting is the model of Cunninghams Camp escalator. This weird device used to convey visitors from the centre of Douglas to the camp up the hill. To travel, you sat facing sideways on a wooden seat that would then ascend the hill on a track.There are photos of it before demolition here. A model is good, especially a working one, but there is also a real seat. These things were tiny and if I'm honest, don't look either safe or comfortable. The entrance is up a steep hill too so didn't make it that easy. 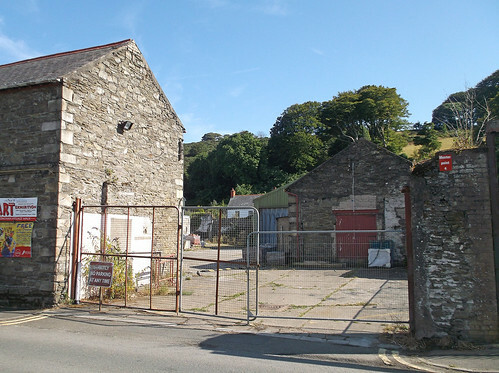 Before the site was demolished, the Laxey Mines Research group paid a visit, and there are photos here. The museum is home to all sorts of transport stuff. They cover everything except air transport. The walls are covered with exhibits, and there are several display cases also full of interesting oddments. Enthusiasts will enjoy spending time looking at everything. Others will rush in, look at the car, run out and miss out.The subjects are a bit mixed up but it's a happy jumble rather than a confusing one. Opposite the building is the last remaining 4-wheel coach body (apart from those converted to "pairs" coaches set up as part of a display including a bit of platform and the water tower - a testament to the last remains of the railway line. Peel station of the goods shed have been absorbed into the (excellent) House of Manannan museum, also well worth a look while you are there. After a quarry shunter yesterday, I had a quick look for some quarry railway action and found this from 2005 showing Barrington Quarry, the last standard gauge operation in the UK during its last days. I particularly like the diesels, which hopefully still survive. They don't hang about, even on the rough and ready trackwork! There's also some excellent wagon tipler action, unloading the Cambridgeshire Clunch stone. More details on the Capturing Cambridge website. 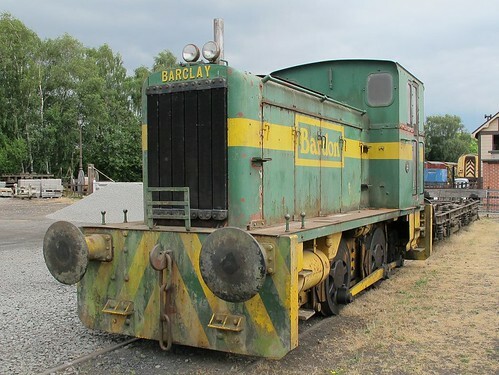 Spotted in the yard at Quorn a couple of weeks ago, this industrial Barclay shunter. 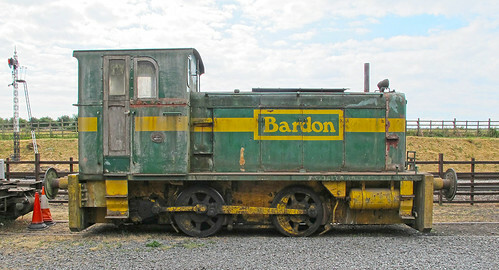 It used to work the Bardon Hill quarry in Leicestershire, so hasn't had to travel very far to its new home. 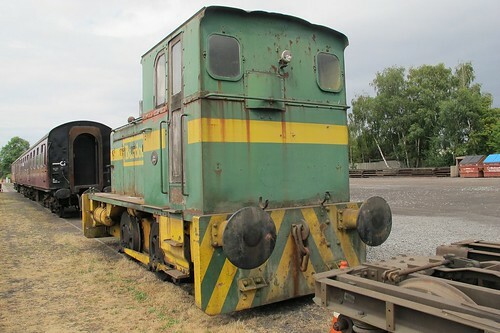 The loco appears to be ex-quarry. It's certainly not been prettied up, and to my eye, looks all the better for this lack of care. 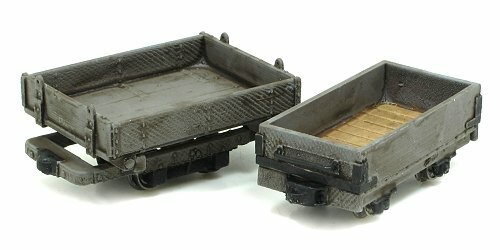 Modelling option is the Mercian Models etched kit. I've built this in 3.5 and 4mm scales and it goes together well. You'd need to do a little work on some of the details to represent this loco (the kit is for the WD version) but not much - a few bonnet steps as far as I can tell. One of the benefits of my job is that I get to read Narrow Gauge World every month. Sometimes, I even manage to contribute material for the pages, or at least this month, allow the editor access to my files to pick up useful copy! Working on Garden Rail and BRM, there's quite a lot of potential cross-over between the various magazines and it would be daft not to make use of this where possible. Let's face it, none are big-budget publications so pooling resources very occasionally makes sense. My efforts are to be found in the modelling section unsurprisingly. 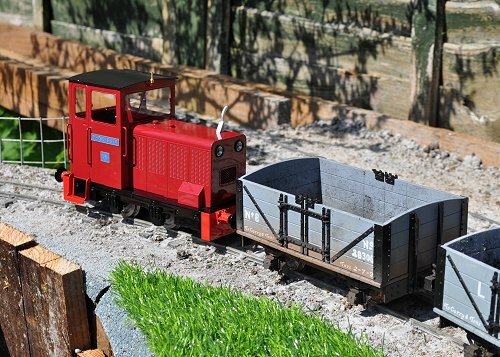 First up, we have my review of Roundhouse Engineerings "Mersysider" diesel. Andrew has taken this and used his knowledge to enhance my original text as well as providing a top pun in the title, something I very much approve of. When I reviewed the Narrow Planet 00 6.5 wagons in BRM, we weren't able to give them a huge amount of space. 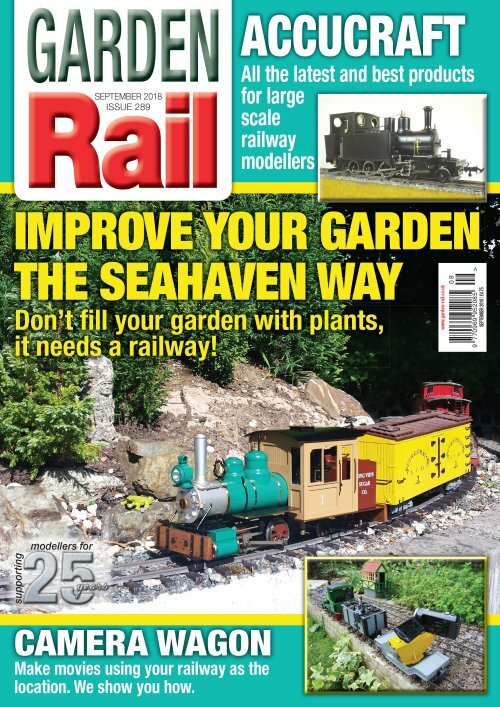 Let's face it, 18-inch gauge railways are a bit niche for the readership. They are far more interesting to NGW readers though, so I took the chance to put a larger piece in here. My feeling is that the makers gave me a couple of kits, not because I am a lovely person, but because I could give them some useful publicity - something I'm very happy to do. Times aren't easy for cottage industries and yet if we want interesting and unusual models, we need to support them. 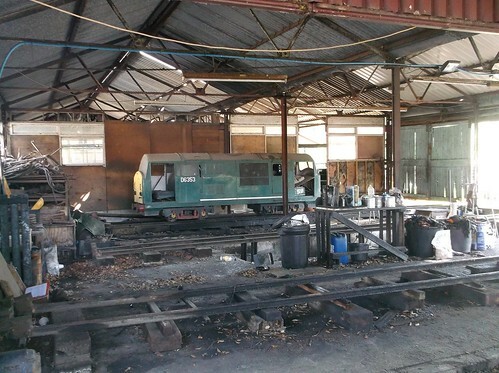 Finally, there are loads of my photos showing models from The Lineside Hut and Bole Laser Craft taken at the 16mm AGM. 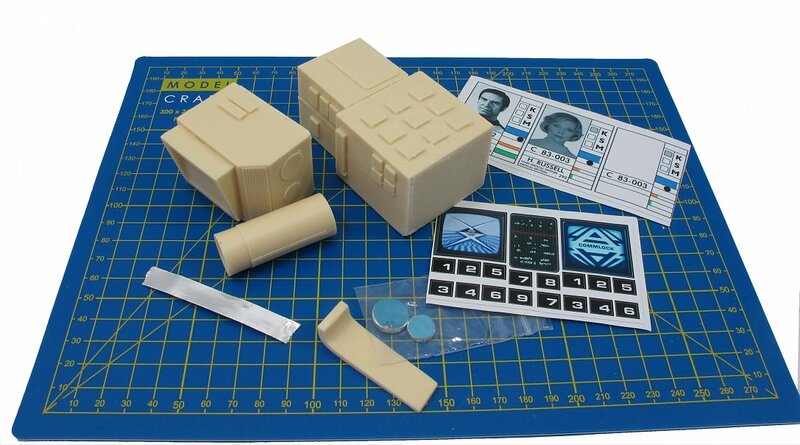 When manufacturers take the time to produce models based on proper prototypes, it's important to let those interested in those same prototypes know that the kits are available after all. August 2018 Narrow Gauge World. 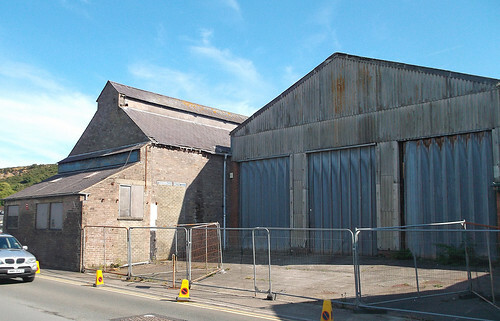 The first of my Manx building finds is the former Douglas Corporation Works situated on Lake Road, opposite the new(ish) Tesco store. An interesting collection of buildings that have evolved over time, and are probably set for another step into a car park judging by all the security fencing. 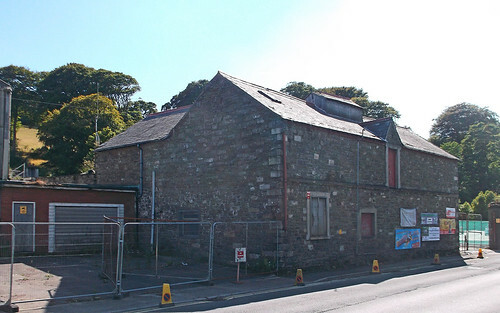 Digging around on-line has failed to bring up any useful details of this building, although Isle of Man film seem to be touting it as a potential filming location complete with more photos and a location map. I've never understood why anyone would devote hundreds of hours to building a model boat and then carry it around under their arm. One modeller arrived at a show with his whaler in bits because, in transit, a car seat had flapped down and crushed one end of it - he reckoned on at least 50 hours to sort out the mess. 50 dispiriting hours or repairs rather than making new things. At the end of the same who, modellers rushed out to their cars, mostly with boats that would be loaded up and then have stuff packed around them to (hopefully) avoid the vessel moving around. My Dad is in charge of making boxes for all our boats. 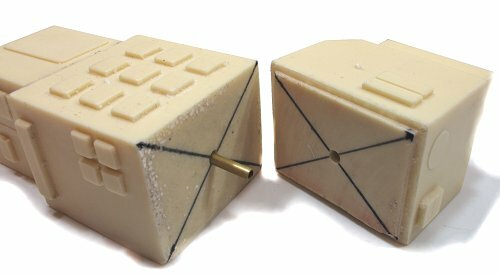 The design has changed a little over the years as this early version with a hinged front shows and now has been simplified to include a sliding front. All the wood is cut to size by our local hardware shop and simply has to be nailed together. The sliding bits are L-shaped mouldings chopped up on a cheap mitre saw. A recent innovation has seen the front panel, previously a piece of plywood, replaced with clear plastic. It doesn't warp as the wood often does when varnished, and more importantly, allows us to see the model inside. When you have a fleet as large are ours, that is a useful feature! 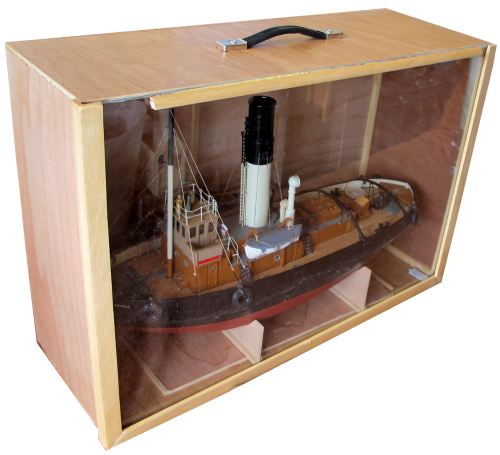 The box also becomes a display case rather than just a container. Varnishing takes longer than building, and both take a lot less time than making the contents. I was sad over the last few days to learn of the death of Allan Downes - one of the most memorable railway modellers from my early days in the hobby. I vividly remembered pouring over photos of his latest projects in copies of the Railway Modeller. His style appealed to me as there was lots of getting on with the job and very little worrying about the finer details. If it looked right, it was right. His model of a large cityscape was the one that really sticks in my mind. As well as tales of hacking through tons of cardboard and wearing out endless Stanley knife blades, we were given an insight into the restaurant owner who had commissioned the work, a man who turned out to be quite a character! Allan himself was reputed to be a bit a character too. I never met him that I remember (there might have been a short chat over a layout back in the 1980s but I'm not sure) however I do know people who have met him and also come into contact fleetingly via Facebook. If we'd stuck to talking toy trains, I'm sure we would have been fine, but any other subject might have been a bit prickly as we occupied opposite ends of the political spectrum. 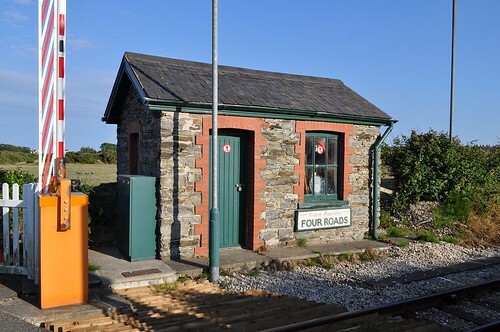 This wasn't ever a problem though so I can just enjoy the photos of his work and my own example from his bench - a GWR signal box I acquired part-built. 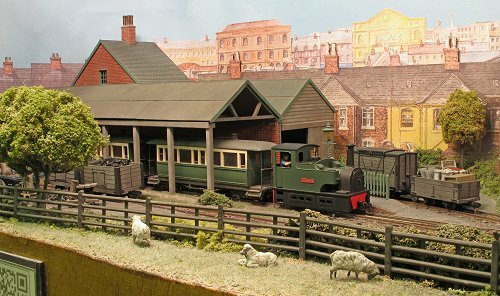 Certainly, he influenced me in my approach to the hobby, although Chris Nevard is better placed to carry the Downes crown with his similar no-nonsense approach to making model railways. Both produce superb models that don't require endless nerding over tiny bits and pieces. 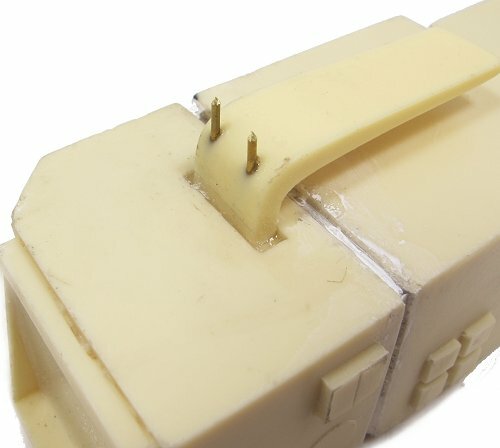 I'm sure there will be plenty who are wound up over the "inaccuracies" in their models or not using the "proper" techniques, but many of those simply use it as an excuse not to start any modelling. The rest of us looks at a Downes model and wish we could do something as good, and to his eternal credit, he was always happy to explain how and encourage people to get started and utterly pragmatic about the process of making models. If we could all follow his example, there would be far more modelling done. Perhaps our motto should "Be more Downes". It would be a fitting tribute to someone whose loss leaves a hole in the model railway world. I've nearly been back for a week from the Isle of Man and what a week it was. Fantastic weather for the most part with lots of train and boat shaped things to see. One of the highlights was Caledonia and the Foxdale coach at Kirk Michael station. 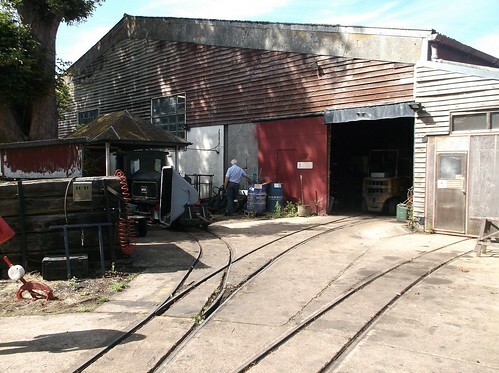 The railway moved both, along with some track, the car park of the building for just 1 day! Now used as a fire station, the train was surrounded by cones out of hours, and that's when we snuck along to see it. Early morning light bouncing off the shiny paintwork and gleaming brass looked amazing. There was an event later on, but by that time we'd headed off elsewhere as there is so much to see an do. 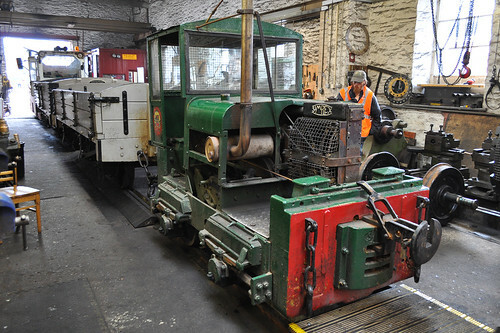 Over on the Groudle Glen Railway, steam-lookalike Baugley "Maltby" saw serious service on her first official weekend. A fascinating loco, look out for an interview with the chairman covering the history in a future BRM video. They even let me in the cab, which is a very confined space! Shed tours of the steam and electric systems were as good as ever. OK, I've seen this stuff before, but in a working shed, there will always be some new goodies to photograph. In the steam shed, I was intrigued by a 1923 railway day book that had been found "stored" in an old coach and now clutters up one of the benches. It's suffered a bit of water damage, but I'd love to give it a proper home. Anyway, there are lots of photos to be seen here. While on the island, I visited 3 new (to me) museums, each of which was fascinating. I'll write these up for the next 3 Sundays as they deserve a bit of coverage. 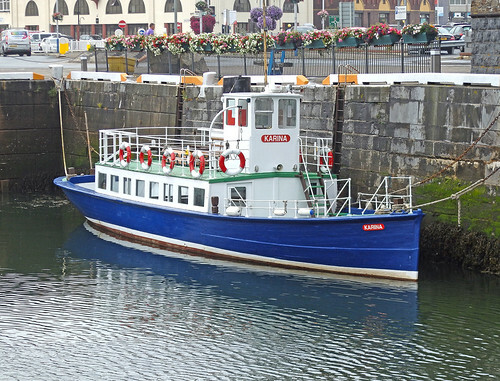 Oh, and if anyone has a pile of cash going begging, there is a 65ft long boat I'd love to buy. Not sure where I'd put it though. An American video, which appears to aimed at 5 year olds, this shows the basic process of making the master for a Matchbox car in (I guess) the 1980s. Nowadays, there will be some CNC milling involved, but using a 3D pantograph tool looks interesting, and would require a lot of practise. Did a Faller designer move to Peugeot? 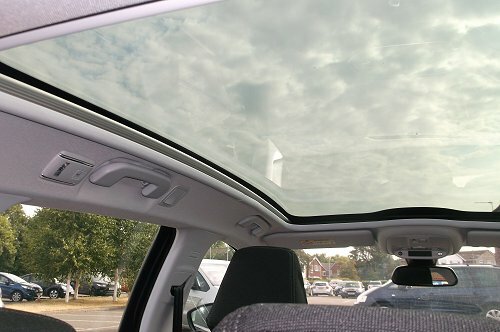 My new car has a glass roof. I don't know why, it just came with one. Anyway, while trying to puzzle the need for this new development in automotive design, and why it's so important that we lose 3cm of headroom to accommodate the curtain that can be pulled across it, I find another model of the transport with a clear roof. The Faller e-Train railbus. 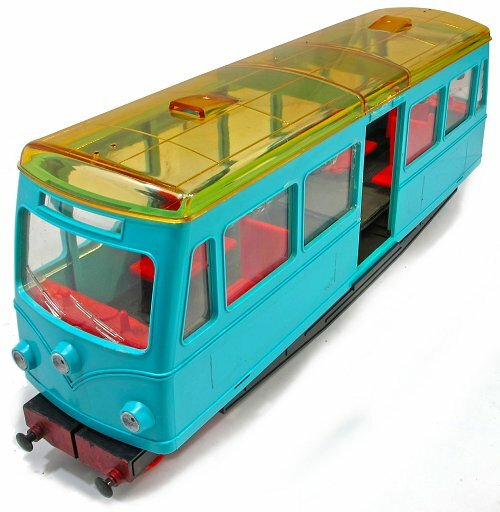 I appreciate that roof is removable to facilitate putting plastic passengers inside, but why is is transparent? And more to the point, since the railbus pre-dates my car, is the roof the result of a designer moving from Faller to Peugeot?